Pure 100% surgical stainless Steel (AISI316L), 0.08 mm in diameter, knitted into a conductive fabric that permits good air flow and light transmission. 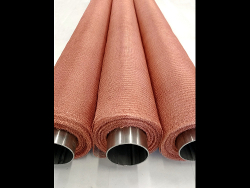 TRANUD Pure copper fabric has a very high conductivity and its bare copper surface can be used as catalyzer in chemical reactions. 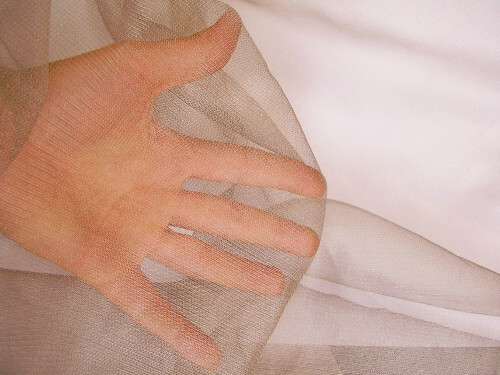 It is very flexible and can be sewn. It is suitable for EMI Radio Frequency industrial shielding of rooms, electrical panels, cables, and for Faraday cages.